Most of the fishing enthusiasts who want to experience an exciting trout fishing in Branson are contented on baits that are easily available. Many are actually not particular with the kind of baits they want to use. The key to catching any fish is knowing about its life. You have to gain a little knowledge of how the fish is fed, and most importantly, what they like to eat the most. The best bait can help you get a good catch. These top 3 trout baits such as nightcrawlers, minnows, and salmon eggs can help make your trout fishing in Branson more exciting. The nightcrawlers are one of the best baits for wild trout. These baits are cheap and easy to store and they stay on the hook for a long time. They can stay alive for a long period of time in water, twisting and turning on the hook, a great advantage as the movement can easily attract nearby trout. As these are live baits, they are not the most hygienic animals when you put them on a hook. You will find it unpleasant if you pierce them with a hook. If you don’t like the idea of using live baits, you can catch trouts using dead bait. When putting the livenightcralwer bait on a single hook, make sure that it doesn’t cover the entire hook, otherwise you won’t be able to catch a single trout. Minnows trout baits are small fish. This kind of fish stay tiny for their whole life, and live in packs in the shallow waters by the shore. They are a favorite food of predators like trout. An excellent bait for trout, minnows are shiny, and they are the real deal. 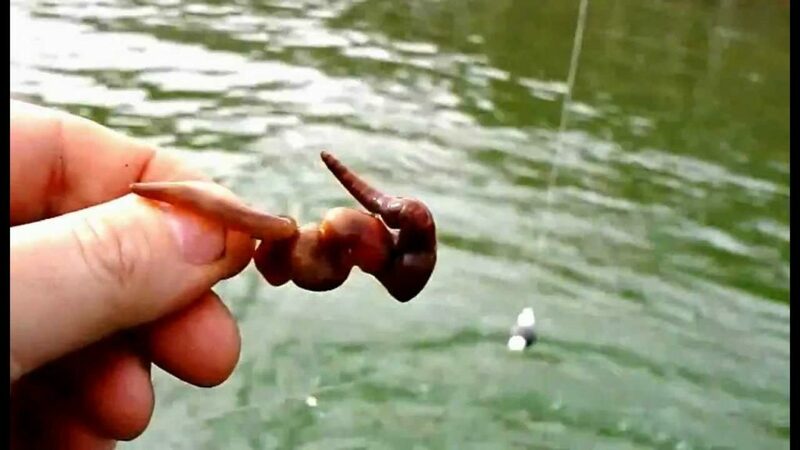 This is why many anglers prefer to use minnows instead of spinners. Spinners look like minnows, but it’s always best to use the real thing. It’s also a hassle to get and store minnows, as they’re only good to use if they’re alive, so you need to carry a box full of water with you all the time. When you’re ready to catch trout, just put the hook through the mouth of the minnow from the bottom up. This way, this minnow is free to swim around, of which its movement can help attract the trout. Salmon eggs are also one of favorite foods of trout in the wild. These baits are rich in protein, and they can’t get away, which makes it an ideal bait for trout. Most bait shops sell them in little jars. The best that can give you more catch are the red ones. They can easily be seen even in the worst visibility conditions. One disadvantage of using salmon eggs as a bait is that they come off easily if you cast your bait far away. So it’s good to use salmon eggs if you want to fish for trout closer to you. Trout fishing in Branson can be more fun, if you use the top trout baits as they can help you get a good catch.